Hambach Forest, aka. Bürgewald, is Germany’s oldest forest. It’s 12,000 years old, but unfortunately, it’s owned by RWE, a utility monger who’s been slowly but surely tearing it apart to excavate brown coal for decades. There’s only about 10% of the original forest left. 10%. Well now, RWE wants to dig up 50% of that 10% starting next week! Germany’s been in an uproar over this the past few weeks, maybe you’ve heard about it. Steffen M., a blogger, journalist and forest friend, died trying to walk from one treehouse to another via a man-made bridge that collapsed because the police wouldn’t let him and others document the situation from the ground, so they had to seek refuge in the trees. That was on September 19th. May his soul rest in peace. Yesterday, the Münster court put a stop to the destruction – for now anyway. The main reason was to save the Bechstein’s bat, a near-threatened bat species. And the court in Aachen uplifted their demonstration ban for today, so 20k people are expected to protest today! UPDATE: There were around 50,000 people there on Saturday!!! When you think of Germany, does its magical forests come to mind? Think of the fairy tales by the Brothers Grimm set in German forests. Rheinhardswald is located along the fairy tale route right next to Sleeping Beauty’s castle. It’s also where Lily Bowers lives. And of course the famous Black Forest, known for its mystery and beauty. And yummy cake. The fall forest colors are amazing in Germany, too. Incredibly amazing! My birthday is next week and I’ve always, in all the 23 years of living here, enjoyed a lovely Indian Summer birthday in a country where grey skies are the norm. So, yeah, Germany is well-known for its magical forests and I enjoy getting my #forestfix every day with my labrador. I’m not the only one. It’s been proven that spending time in a forest will improve your health. 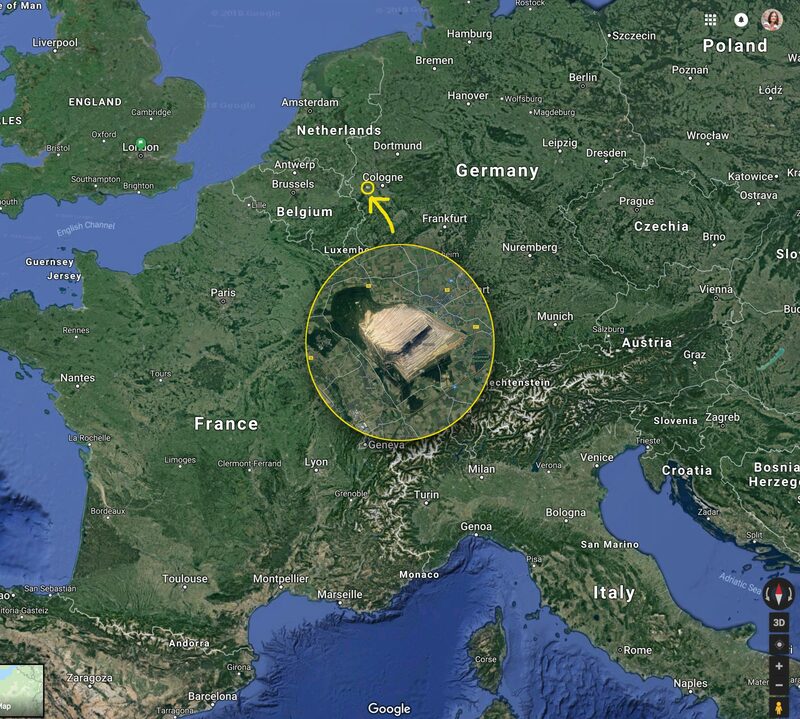 Unfortunately, German forests are in danger of being destroyed little by little. Rheinhardswald is in danger of being partially ripped up to make room for wind turbines – which btw are also not very sustainable. Not only because we rip apart forests for those, but those huge turbines are also made out of plastic and are NOT biodegradable! And the Hambacher Forst has been destroyed, chunk for chunk, for decades and is in danger of being completely destroyed. Germany as The Environmental Leader ??? © Google. Click to enlarge to see the brown coal excavation area from FAR, FAR away. Germany leads the way when it comes to tackling environmental issues but still ends up struggling with producing sustainable energy. I live in NorthRhine-Westphalia, in the Ruhr Valley Area, where coal mining was the main industry in the 50s/60s/70s. My husband’s grandfather was a coal mining manager and was killed after a mine collapsed. He went back in to save one of his guys, but couldn’t save himself and left his wife alone with 5 children. When I moved to Germany in 1995, I could not hang my clothes out to dry on the balcony because they turned black after just a few hours. I wasn’t allowed to buy a clothes dryer either because that was just not good for the environment, words I NEVER heard together in the United States btw. This contradiction boggles the mind, right? Germany’s since terminated most of their coal mining plants and turned them into exhibition halls where art and culture festivals are celebrated. And I can now hang my clothes out to dry once again. Well, mainly because I live out in the country right near a forest, but Dortmund, where I used to live, has cleaned up its act too. But not all of it. Coal is, by far, the dirtiest source of energy. And the top managers at RWE know it, but yet, they dig and dig and dig. Even though residents living in these coal mining areas have to deal with sudden earth collapsing incidents that damage their homes. All for the name of money. It’s our responsibility to protect plant and animal species that have no other place to call home. 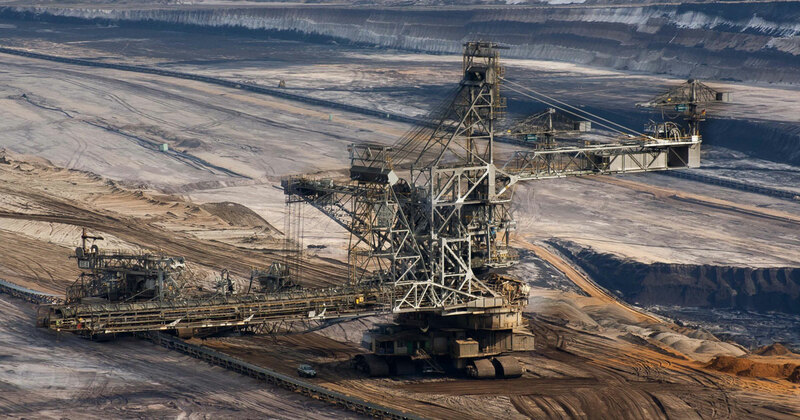 There is absolutely no reason to produce brown coal and RWE couldn’t convince the Münster court of it either, so they lost. For now anyway as this is a temporary 2 year stop. RWE will take a huge financial loss. And energy costs may rise because of it. Or something even worse may happen in our attempts to get energy from another source. But this conversation NEEDS to start so that we don’t continue to use the most damaging source of energy anymore. Those days are over and humans have become more conscious and more intelligent. Let’s not move back in time, but strongly demand more sustainable sources of energy. When you think of Germany, what comes to mind? The Black Forest, Rheinhardswald and now the Hambach Forest. It’s our responsibility to protect Germany’s most beautiful feature, the forest. My heart sings a beautiful love song today as the animals in the Hambach forest are safe, for now. And the trees can continue to breathe and provide us with clean air and hope. I truly believe that if every human being would be one with nature and respect all that Mother Nature provides us, there would be world peace. Yes, I do believe in fairy dust, but I also believe in the power of people and in the opportunity to be the change. This event proves that we DO have the power to inspire change and for that, I’m grateful. I don’t know what will happen to this magical forest after this 2 years are up, but I do know that humans are not above nature. Nature will prevail. Always. Do you also love nature? Then you'll want to subscribe to my newsletter! How are you helping to save animals or the environment in your own community? Please comment below and let’s talk !